The Hoyt Carbon Defiant shoots just as good as it looks. One of the things I like about my job (okay, I like everything about my job) is I get the opportunity to test and evaluate products before they are readily available. One of those opportunities popped up when my new Hoyt Carbon Defiant 34 arrived. It didn't take long before I was getting it set up and shooting it in my basement range. The first thing I noticed with this bow is its mass weight, or lack thereof. Not a surprise, I know, but it's something that always strikes you with Hoyt's Helical Flex Tune Carbon riser technology. This hand-laid, hollow-carbon design creates a riser that is not only light, but extremely strong, resistant to the amplitude of oscillation often found in an aluminum riser, and, as a bonus, the carbon is warm to the touch on a cold November day. Obviously, none of that is news to anyone familiar with their carbon riser technology, so let's look at what's different about the Hoyt Carbon Defiant. First up is what Hoyt describes as, "a synergy between their new DFX cams and Ultra-Flex limbs," that effectively broadens string angle at full draw. The shape of the new cam, in effect, increases the tip-to-tip length of the bow by approximately 3.45 inches when at full draw. This is a close-up view of the upper riser of the Hoyt Carbon Defiant 34, which illustrates the unique hand-laid hollow tube carbon riser design. The result is improved shooting form, comfort and accuracy, all things that generally come with a bow that has a less acute string angle at full draw. Put simply, your 31-inch bow will feel more like a 34-inch bow. 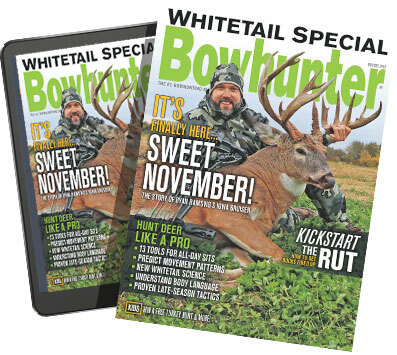 You get the compact design, and the benefits of longer bow geometry. Yet another benefit of the DFX cams is they allow you to set your draw length in half-inch increments across a three-inch range, without a bow press. You can easily experiment with slight changes to see what feels best. This bow features a lot of other technologies, all of which can be studied at Hoyt.com. One technology that is missing in the Defiant is the AirShox limb dampeners, but from what I can tell they won't be missed, which brings us to my personal impressions and test of the Hoyt Carbon Defiant. Similar to the upper riser, the lower riser has Hoyt's unique hollow tube design. My second impression as I pulled this bow out of the box was its balance. It wasn't top-heavy, and when hung from the string loop I installed it balanced perfectly horizontal. I set the draw weight to my usual 67 pounds, installed a QAD UltraRest and a peep, did the initial tuning, and started flinging arrows. The draw cycle of the Hoyt Carbon Defiant was extremely smooth. The letoff was almost imperceptible until the end of the draw, and even then it dropped smoothly into the valley. No abruptness, and I like that. The shot was very impressive in its mildness. The bow barely moved in my hand, and that was somewhat of a shock since the bow had no stabilizer, sight, or any other accessory attached. With only the arrow rest attached, the bow weighed just four pounds. It should have recoiled with a vengeance. Instead it hung lifeless in my hand as my arrow sped toward the target. The limb pockets on the new Hoyt Carbon Defiant have been improved and the AirShox technology has been eliminated from this bow. Now that "speed" has been mentioned, let's look at the results of shooting a number of arrows through my chronograph. The table below lists the arrow weights and arrow speed in feet per second. I tested the Hoyt Carbon Defiant at IBO standards, which are a 30-inch draw, 70-pound draw weight and a 350-grain arrow, and at my "hunting" standards — 67 pounds with a 488-grain arrow. You'll notice the IBO setup in the third row with a speed of 317 fps, which is real close to the advertised IBO rating for the Carbon Defiant 34 of 325 fps. The string loop and peep would account for most of that difference. Also, I included both the kinetic energy in ft. lbs. and the momentum in slug/ft./per second for a reason: It's part of my effort to convince bowhunters that arrow speed and kinetic energy is not the ultimate goal. Note that the variations in kinetic energy from the light/fast arrow to the heavy/slower arrow is minimal. The new DFX cam allows you to fine-tune your draw length across a three-inch range without a bow press. However, the difference in momentum, a much better indicator of penetration potential, shows that momentum is nearly 20-percent higher with the heavy/slower arrow. That is significant, and it may make the difference on your next shot at a big game animal. So back to the Hoyt Carbon Defiant. This is a great bow loaded with technology and performance. I would also consider it one of the toughest bows on the market. Hoyt's carbon risers can handle more abuse than an aluminum riser, and their limb quality and durability is legendary. If you were being sent to fend for yourself on an island populated with big game and could only bring one bow with you, the Hoyt Carbon Defiant would be a great choice. This graphic demonstrates how the DFX cams effectively broaden the string angle at full draw. This gives you the benefits of a shorter bow and forgiveness and accuracy of a longer bow.